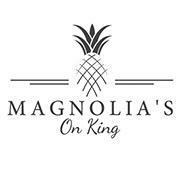 Magnolia's on King, located in the heart of Old Town at 703 King Street, Alexandria, VA, will launch Sunday brunch service on September 6th. Brunch will be served from 11 AM to 3 PM in the main dining room, which is located on the first floor of the restaurant. Guests can anticipate classic brunch dishes that have a southern twist, with a big emphasis on what is locally sourced and firmly rooted in farm-fresh practices. Executive Chef Brian Rowe’s new brunch menu includes salads such as Grilled Romaine Salad, grilled romaine hearts, cornbread croutons, fried anchovies and a house-made Caesar dressing; Watermelon & Feta Salad, local watermelon, arugula, baby spinach, fresh mint, feta cheese and Champagne vinaigrette. Also available is the Magnolia Burger, local beef, fried green tomato and pimento cheese, served with fries. Brunch-goers will also love Southern favorites such as Fried Chicken & Flapjacks, sweet tea brined chicken, cornmeal flapjacks, spicy honey and maple syrup; Duck Confit Hash, confit duck, sweet potato hash and sunny side up egg; Banana’s Foster French Toast, brioche bread, bourbon caramel, fresh bananas and powered sugar, as well as the Southern Breakfast, two eggs any style, sweet potato hash and Magnolia’s signature grits, served with a choice of pork. Brunch items are priced from $10 to $18 each. 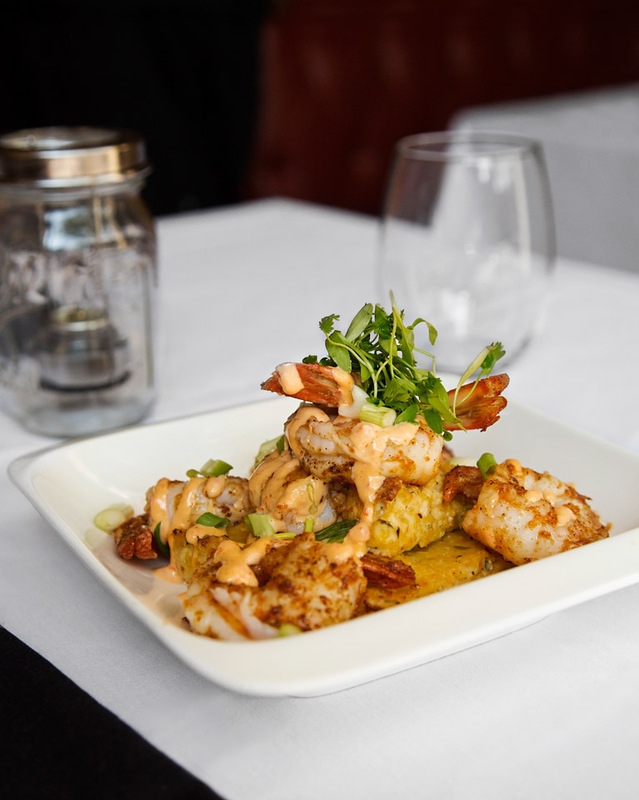 Popular sides include Magnolia’s Grits, corn grits, chipotle puree and cheddar cheese; Pork, choice of ham, sausage patty or bacon; Buttermilk Biscuits served with house-made jams and local honey, as well as Beignets, fried dough, powdered sugar and local honey. Sides are priced from $5 to $6 each. Brunch libations include the Mimosa, fresh squeezed orange juice and sparkling wine; Bloody Mary, house-made bloody Mary mix and vodka, served mild or spicy; Green Tea-Infused Corpse Reviver #2.1, served with Beefeater Gin or Pernod Mezcal, Cointreau, green tea-infused Cocchi Americano and lemon juice; Magnolia’s Summer Shandy, Port City Optimal Wit, coriander, ginger, orange peel and lemon juice; Lavender Royale, Beefeater Gin, elderflower liqueur, lavender syrup, lemon juice and sparkling wine, and the Garden Ricky, tarragon-infused Beefeater, house-made tomato soda, lime and Pernod. Cocktails are priced from $8 to $14 each. Magnolia’s on King is located in the heart of Old Town at 703 King Street, Alexandria, Virginia, 22314. The restaurant is located 1.1 mile from the King Street-Old Town Metro Station accessible on the Yellow and Blue Lines. Hours of operation are Tuesday through Saturday, from 6 PM to 10 PM. The Lounge is open Tuesday through Thursday, from 6 PM to 10:30 PM; Friday and Saturday, from 5 PM to 11 PM. Brunch is served Sunday, from 11AM to 3 PM. For reservations or additional information, please call (703) 838-9090 or visit www.magnoliasonking.com.